Every year at Annual Conference we acknowledge FSAE members who stand out for their exemplary service to FSAE and the association management community. 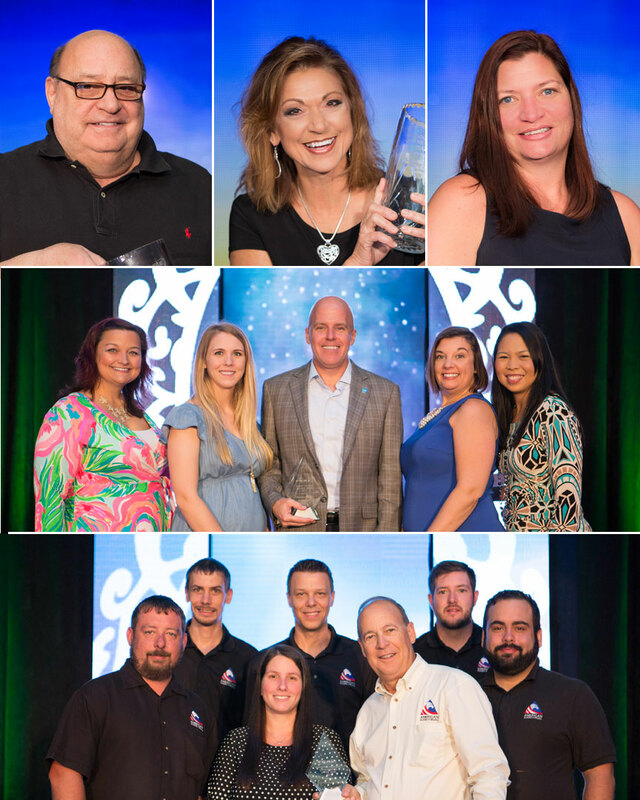 Our Leadership Awards recognize individuals through our Executive of the Year, Associate of the Year and Rising Stars awards, and organizations through Association of the Year and Supporting Associate Organization of the Year. 3. Attend Conference to see who wins! Nominees for all awards must be an FSAE member in good standing and employed full time. Nominees cannot win more than once in each category. Click here to see previous winners in all award categories. The nominee shall also have actively volunteered in other charitable, civic or community initiatives. The Awards Committee selects the winner using an objective points-based system based on nominee’s activity. Purpose: To honor the association executive who has displayed the highest commitment to professional growth and pride in association management. The candidate’s professionalism and leadership are evident in both services to the association management profession and to the community. The nominee shall be an Executive Member in good standing who has made outstanding contributions to FSAE or the FSAE Foundation. The nominee shall have had success in, and significantly contributed to, the advancement of the association management profession through his/her work with the employing association or other association-related management activities. Purpose: To honor the Associate Member who has displayed the highest commitment to professional growth and pride in his/her profession through active involvement and contributions to FSAE or the FSAE Foundation. The candidate’s professionalism and leadership are evident in service to the profession, to FSAE or the FSAE Foundation and to the community. The nominee shall have had success in, and significantly contributed to, the advancement of his/her profession through his/her work with the employing organization or other profession-related management activities. Purpose: To honor an FSAE Executive Member who has contributed significant time and talent to FSAE’s or the FSAE Foundation’s success. The Rising Star cannot be a former or current board member of FSAE or the Foundation. The member must have been employed in the association management profession for at least three years. The nominee must have been a member of FSAE for less than seven (7) years. Purpose: To honor an FSAE Associate Member who has contributed significant time and talent to FSAE’s or the FSAE Foundation’s success. The Rising Star cannot be a former or current board member of FSAE or the Foundation. The member must have been employed to provide products or services to the association community for at least three years. The nominee must have been a member of FSAE for less than seven (7) years. Purpose: To recognize an Association or an Association Management Company (AMC) that has demonstrated outstanding efforts, excellence and innovation related to its on-going or special programs/services which benefit their industry or profession, or the public at large. The award is not based on the activities of any individual or group of association/AMC staff members. Purpose: To recognize a company/organization with at least one FSAE Associate member that has demonstrated outstanding efforts, excellence and innovation related to its on-going or special programs/services which benefit their industry or profession, or the association industry. The award is not based on the activities of any individual or group of employees.